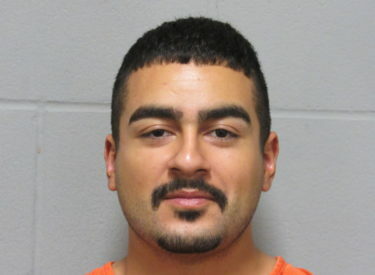 NEWKIRK — Kay County Sheriff Steve Kelley reports several complaints have been sent to the Kay County District Attorney’s office this morning, requesting charges be filed against Everardo Rodriguez, 23. The complaints are all connected to a pursuit and stand-off situation that started Sunday night and continued through the early-morning hours Monday. Kelley said his office is seeking charges for obstruction of a police officer, attempting to escape, kidnapping, second-degree burglary, and first-degree burglary. He said bond for Rodriguez will not be set until the District Attorney’s office files charges, which may be as early as today or tomorrow, Kelley said. Kelley said Monday morning Rodriguez is a suspect in a pharmacy robbery in Yale, Oklahoma, in Payne County. He also has a Kay County warrant for failure to pay and is wanted for questioning in connection with robberies in Kay County. Kay County deputies tried to initiate a felony stop on Rodriguez at 14th Street and Hartford Avenue Sunday night, but Rodriguez failed to stop and continued to Pioneer Apartments, 715 Monument Road, where he entered an apartment where he knew the residents. After a stand-off that lasted several hours, the Ponca City Tactical Team subdued Rodriguez and the Kay County Sheriff’s Office took him into custody. Sheriff Kelley said Payne County has set a bond of $200,000 for Rodriguez in connection with the Yale pharmacy robbery. He remains in custody at the Kay County Detention Center.